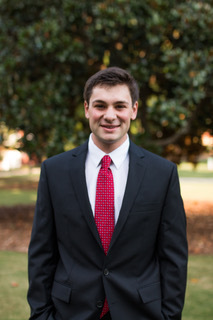 Zach Banov is a fifth year student at the University of Georgia majoring in Pharmaceutical Sciences. He currently runs the Emerging Leaders Program for Georgia Bio, a non-profit organization that promotes the growth of the life sciences industry in Georgia. Zach is particularly interested in the connection between scientific research and the policy created using scientific data. He hopes to work for a government agency like the FDA or NIH working in the research and implementation of bioethical policy.